Two decades since being established, Regal Furnishing continues to provide a premium static caravan upholstery service. This service is available to the general public, caravan dealers and caravan sites as a whole and can provide renewed comfort and visual improvements. Whether you need to reimagine one static caravan or a whole site, you will witness an unrivalled transformation when you enlist our help. We have an abundance of fantastic fabrics, materials, linings and foam, all of which can have an instant impact on your van’s aesthetics. Our incredible selection is home to an extensive scope of classy designs and colours for you to select from and really get the most from your caravan. Our array of materials partnered with our wealth of experience and our own high standards to complete each static caravan upholstery project to the utmost in quality and satisfaction results in an unbeatable outcome that offers style and luxury as standard. For sites and dealerships looking for static caravan upholstery, we offer a four week turnaround for those placing an order of five or more vans. We will visit your site with a sample range of fabrics and foam and provide a quote based on your requirements. If you’re after an even more luxurious look and feel, you can choose to use leather, or a combination of both leather and fabrics to get an even better appearance. 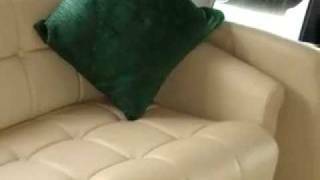 If you’re looking for static caravan reupholstery for a single caravan, Regal Furnishing can complete your works within one week. Simply choose from our 200 strong selection of fabric rolls and deliver your cushions to us. If your covers are in a perfectly good condition and it’s merely a case of refilling them, we can take care of that too. Our top grade high-density foam brings yours cushions back to their original shape and comfort. 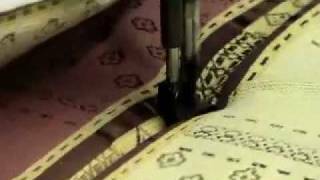 If your cushions are looking a little baggy or worn we can replace them with a substantial lining fabric, perfect to regain their frame. 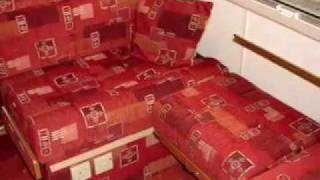 For static caravan reupholstery you can count on, please feel free to get in touch with us today. We will gladly talk you through your options and help you realise the best solution, whatever your needs.